"My entire lifetime has been a never ending love affair with horses! 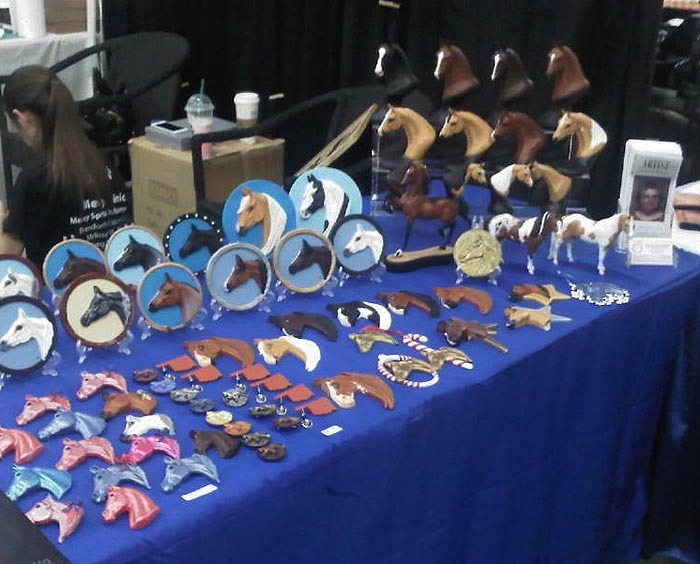 I have spent it as an avid student, learning every detail of their anatomy and the subtle expressions that makes each one unique"
"Beau Cheveaux" means "beautiful horses", and since 1967, I have dedicated myself to creating beautiful hand-painted, original horse sculptures. My clients are world-wide and include several celebrities and professionals within the horse industry. My work has also been commissioned for use as breed association awards and I am happy that donations of my pieces have been extremely successful money-earners for various fund-raising auctions . A Harness Pony was used as the trophy for the 1997 Hackney/Harness Pony Medallion (youth) winner. Sponsored by the American Hackney Horse Society, this award was presented at the American Royal Horse Show - Kansas City, MO - the winner was Miss Tabitha Ireland. Presenting the High-Point horse of the 1983 Missourri Paint-O'Rama show in KC, MO. I love to share my love of horses and art by educating others. To that end,I wrote and published the book, Trade Secrets, (updated in 1985, 1990, & 1999). 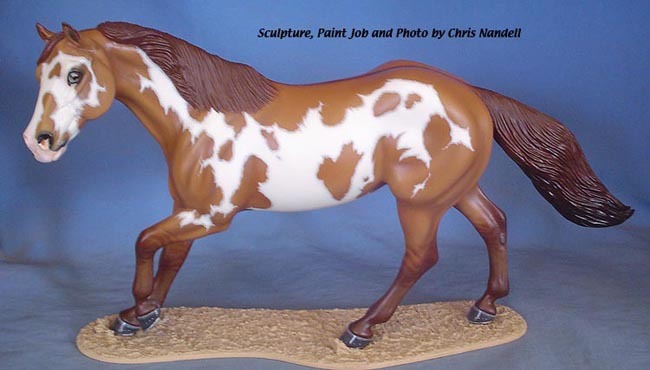 In it, I take the reader step-by-step through the process of creating beautiful horse sculptures. 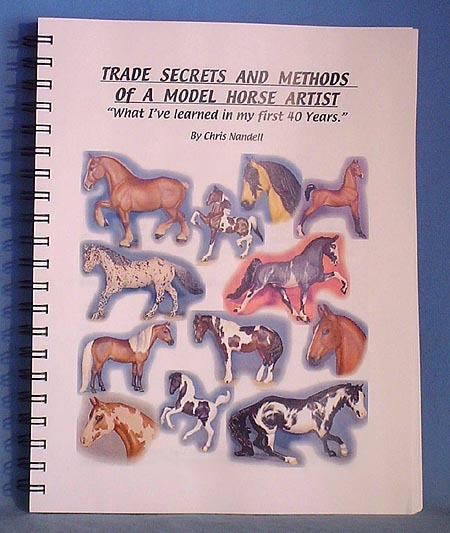 In 2007, I celebrated 40 years of my art career by writing and publishing TRADE SECRETS AND METHODS OF A MODEL HORSE ARTIST - "What I've learned in my first 40 Years". This book features full-color photos as well as many black and white illustrations. I also enjoy teaching others in seminars at events throughout the country. 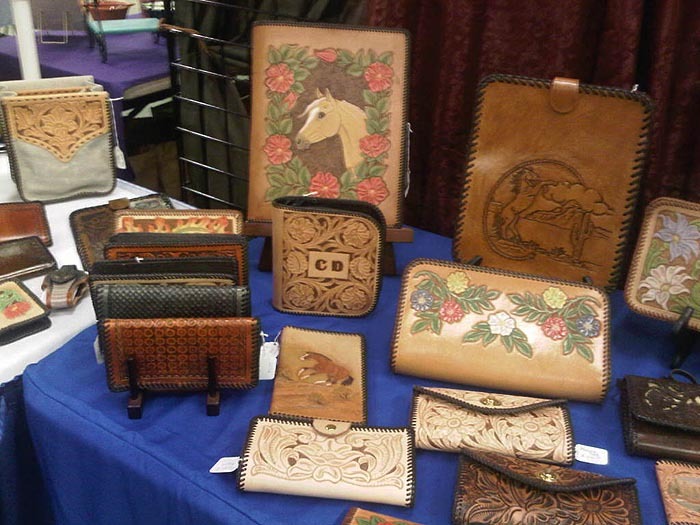 In addition to horse related events, I have also participated in local hand-made art shows. 2015 INDIE show in Oklahoma City, OK. In 2007, I attended the North American Nationals show. And numerous other National Awards were won by my customers showing pieces of my work as well. It was an incredible experience! To see some of the Many Champion models I have created, click here: the BEAU CHEVEAUX HALL OF FAME. 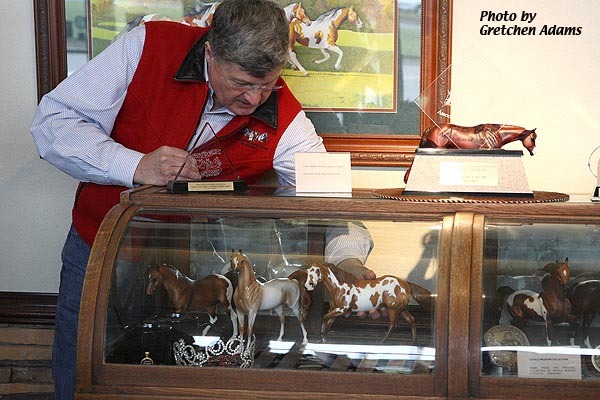 In October of 2008, I was pleased to donate one of my painted sculptures to the PINTO Heritage Museum at the American Pinto Horse Association in Bethany, Oklahoma. 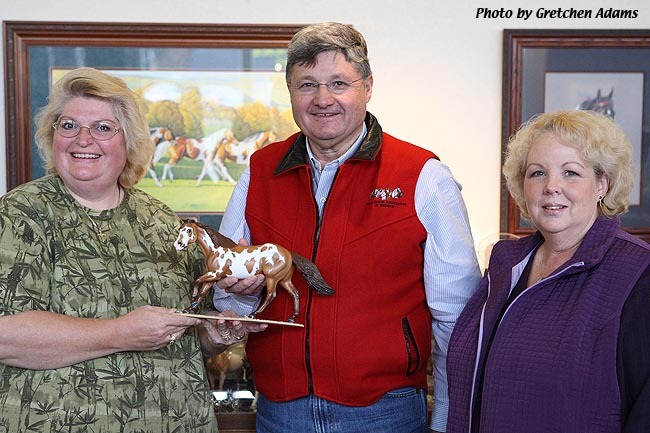 Below are photos of the presentation with myself, APHA Club President Darryl Bilke and Office/Museum Manager, Dorothy Fread.